When would you like to stay at YHA Betws-y-Coed? If you're looking for Snowdonia accommodation, YHA Betws-y-Coed is in one of the loveliest spots in North Wales, perfect for a weekend break or activity holiday within sight of the mountains. Just a short way from the village and in an Area of Outstanding Natural Beauty, the hostel is part of a lively tourist complex opposite Swallow Falls waterfall. There’s a café/bistro and pub on-site, as well as plenty of parking. Attractions include the Snowdonia Mountain Railway, Portmeirion, several large castles and of course, there are walks and climbs aplenty. This 77 bed hostel has a selection of private rooms and dorm beds, all with en-suites. The hostel includes an outdoor patio to enjoy the views, so you can relax in the great outdoors. This hostel is self-catering only, but there is a pub next door which serves meals if you feel like dining out. 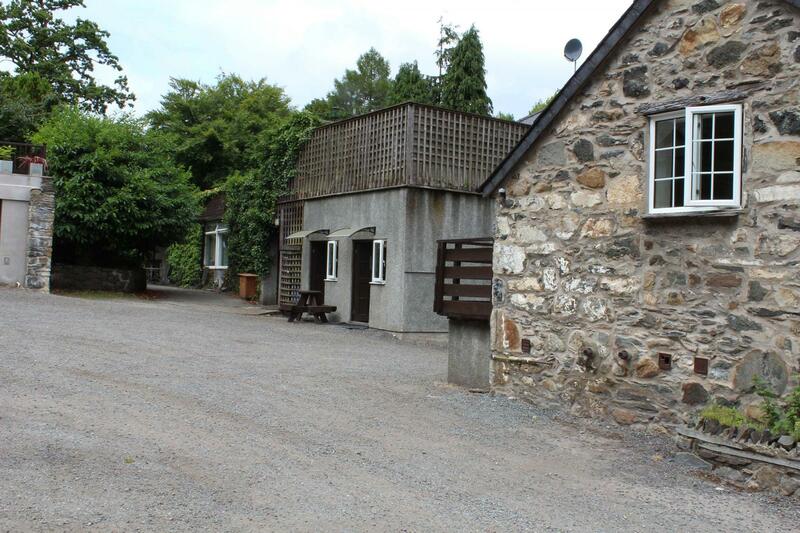 Part of a lively, busy hotel and bar complex located close to the popular village of Betws-y-Coed. The hostel has a large car park, and coach park for large groups. 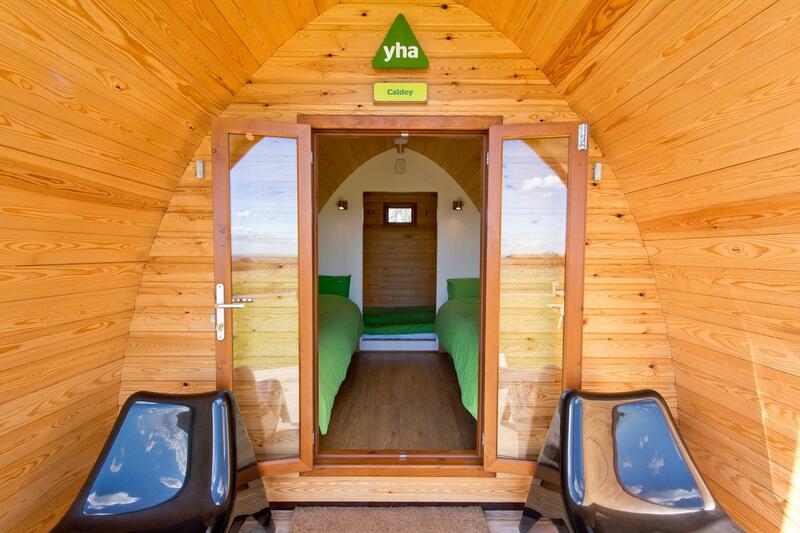 There are three camping pods available at YHA Betws-y-Coed. Each contains a double room, a room with two single beds, electricity and lighting. There are picnic tables and benches outside. Bedding can be hired. Swallow Falls Waterfall is the highest continuous waterfall in Wales. The falls are set on the River Llugwy in the beautiful Gwydir Forest. Visit the website. Snowdon Mountain Railway Take a journey to the rooftop of Wales. The Marin Trail is a world famous downhill trail, just 5 minutes ride from the hostel. Bike hire is available in the village but we can arrange for bikes to be collected and returned at the hostel. Mount Snowdon is the ultimate climbers dream in North Wales. You'll get a real sense of achievement once you've accomplished this climb. White water rafting is a must for any water enthusiast in this area. Specialising in group bike hire, we, Beics Betws, are based in Betws y Coed - a Mecca for Mountain Biking with lots of nearby routes. Visit their website. Towels and toiletries: Hand soap is provided next to all sinks. Towels are not supplied as standard but can be rented or purchased from reception. Bedding is supplied in all rooms. Pets: Pets are not permitted. Assistance dogs are welcome. Parking: YHA Betws-y-Coed has on-site car parking. Manager recommends: Hire a bike and enjoy the fantastic scenery of the Snowdonia National Park - remember to bring the camera for some unmissable shots!